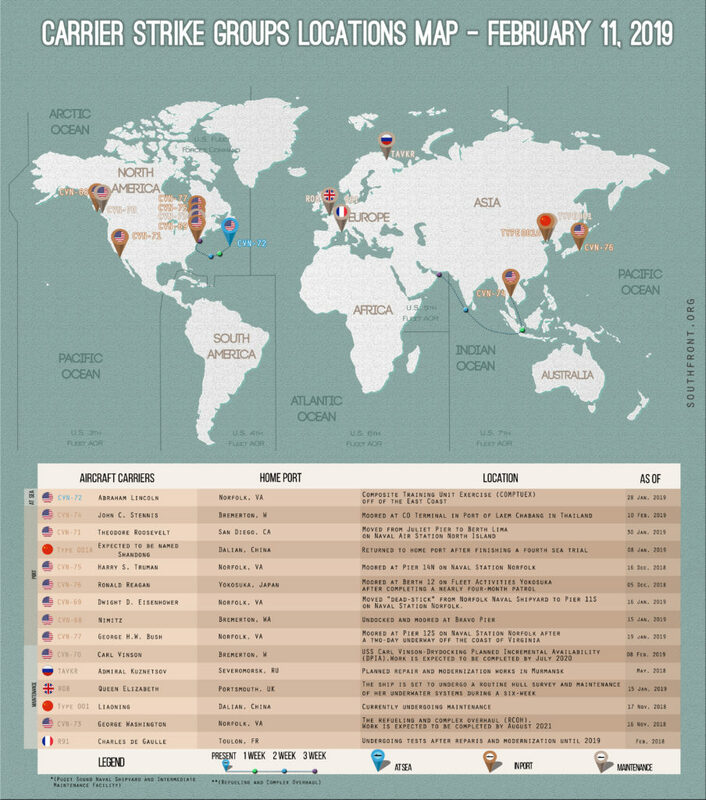 Locations Of US, British, Chinese And Russian Aircraft Carriers – February 11, 2019 5 out of 5 based on 4 ratings. 4 user reviews. This map shows the approximate locations of US, British, Chinese and Russian aicraft carriers and carrier strike groups. 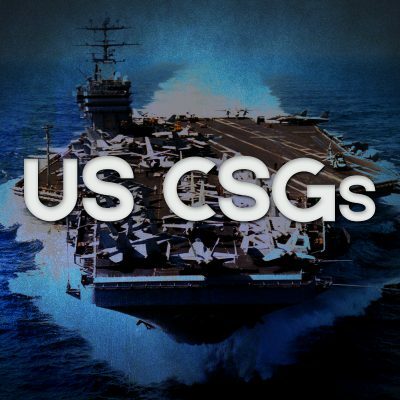 SouthFront: Analysis & Intelligence tracks locations of these aircraft carriers using the available open-source information. No classified information was used in production of the map. Gosh, I wish I could pay for a couple more aircraft carriers – even if it meant selling my house and family. Because then I would REALLY feel safe from terrorists. We’ll name it the USS Jesus ’cause God will be on our side.